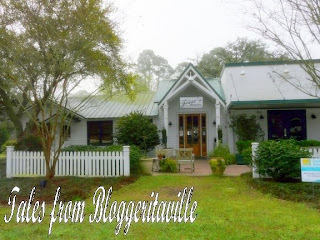 Alabama Bloggers: Alternative Beach Activities: Magnolia Springs. Alternative Beach Activities: Magnolia Springs. Leigh wrote this post a while back for us, and I wanted to re-share it as a part of our series on not abandoning our beach towns, and what you can do at the beach while the beaches may be oily. 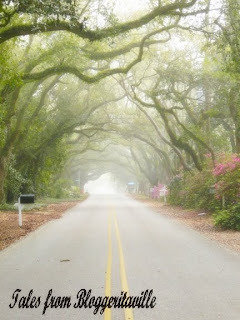 Magnolia Springs is an amazing hidden secret of our coastal region, and is an excellent place to visit! If you have any where or anything that you would like to contribute or suggest for this series, please comment or email me at rachel@alabamabloggers.com. If you have ever read my blog, you can probably figure out that I am a beach girl at heart. I love nothing more than to have my toes in the sand, the wind in my sails, my rod in the water or be emerged in the turquoise blue waters. But I also love an adventure! There are so many opportunities for exploration in the south of Alabama. Many of those opportunities involve little to no cost. There is nothing about that logic that Big Daddy, my resident tightwad, can argue. 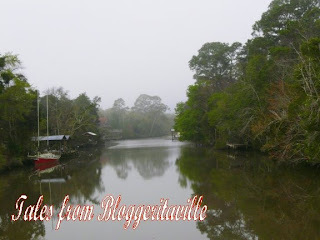 This week I am going to show you some fun locations to visit while you vacation in the south. What? Not heading this way? Maybe this post will inspire you to venture out beyond the traditional vacation draws and look beyond the cash pulls into what a particular territory offers. 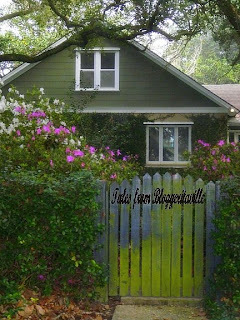 I am going to begin with the small town of Magnolia Springs. Both Magnolia Springs and Fairhope (located not far away), are small towns are places that I *might* consider giving up my beachside condo to live in. Lets begin with Magnolia Springs. Magnolia Springs is located at the headwaters of the Magnolia River, which was originally called River de Lin, or River del Salto by local residents. A most qaint little town, Magnolia Springs is a picturesque place and one of the few remaining places to receive mail by boat. How charming is that? The Magnolia River continues to be an important resource for this area's residents. As of 2007, activists were seeking to have it named as an Outstanding Alabama Water, which is the state's highest environmental protection status. Several structures in the town are on the National Register of Historic Places, including Moore's Grocery and St. Paul's Episcopal Church. Moore's has been open since 1922, and offers specialty meats, cheeses, meats, wines and coffee beans. 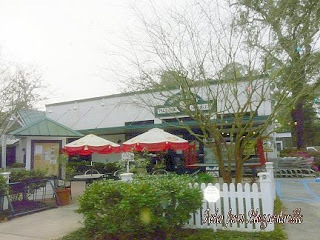 Located just left of the grocery, you will find the ever popular eatery, Jesse's Restaurant, serving up some gourmet cuisine prepared by Chef Sally Lowery, to many happy customers. The restaurant is located in the old post office (1949). It is named after Jesse King, who helped run Moore's Grocery for over 60 years without missing a single day of work. 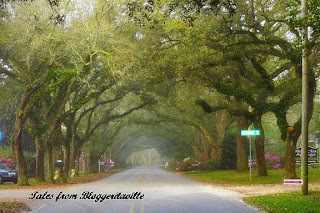 A hard task if you lived in a place as exceptional as Magnolia Springs, it just oozes southern hospitality. 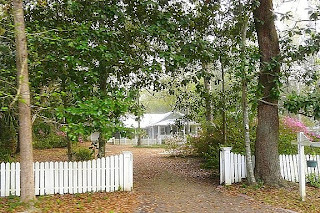 One cannot help but imagine sitting on a front porch sipping a glass of ice cold lemonade taking in the day by listening to the song of the birds in the trees and the wind in the leaves. The thought of doing anything beyond that is almost incomprehensible. 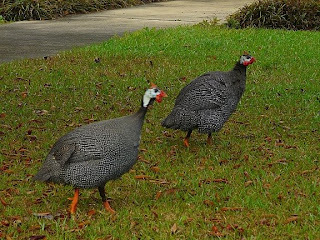 I photographed these pair of pretty little guineas outside of Jesse's. They are dressed in their black and white polka dot best, all gussied up for a day of living in Magnolia Springs. Turn left just ahead of Jesse's and Moore's onto Oak Street and you will find yourself enveloped in historic oak trees, hundreds of years old. The stories I imagine they could tell.....if only they could. Beneath the canopy of oak-lined streets, you will find charming cottage style homes that just beckon a second look. 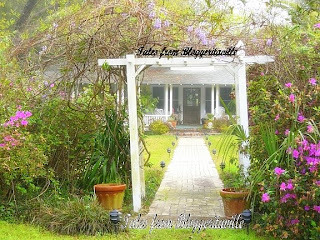 You will also find charm in Magnolia Springs Bed & Breakfast. 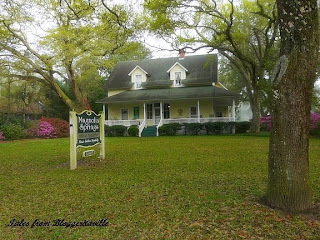 Magnolia Springs Bed & Breakfast has been featured in numerous magazines and publications all around the country, including features in Southern Living twice (Nov. '98 and March '01). 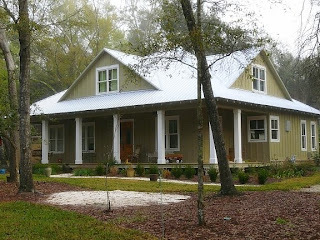 It is Alabama's only Bed & Breakfast to be featured on Bob Vila's "Restore America" program. One like me, cannot help but rubberneck as I drive down the magical little streets eyeing loveable little cottages that I would love to prop my feet up in. And my friends, rubbernecking comes at no charge! You can lost in Magnolia Springs, and you will not want to leave. Its a magical place! Need more excitement than rubbernecking? I have some other free options in store coming up in future post. Stop back by! 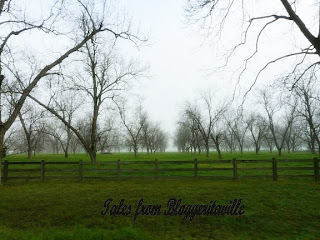 More on the history of Magnolia Springs can be found by clicking here. Rachel-there is also Fairhope. We LOVE Fairhope. It has some wonderful Bed and Breakfast Inns and the cutest unique shops. June Blog Meet CANCELLED, July Date Announced. Why I’m Not Boycotting BP. "You Have No Events Scheduled Today"
Oil on Our Beaches, But Don't Abandon Them!